PDPM Preparedness | CareTeam - The collaborative platform. Beginning Oct 1, 2019 all PDPM-related policies will take effect. Fill out the form below to watch our webinar. 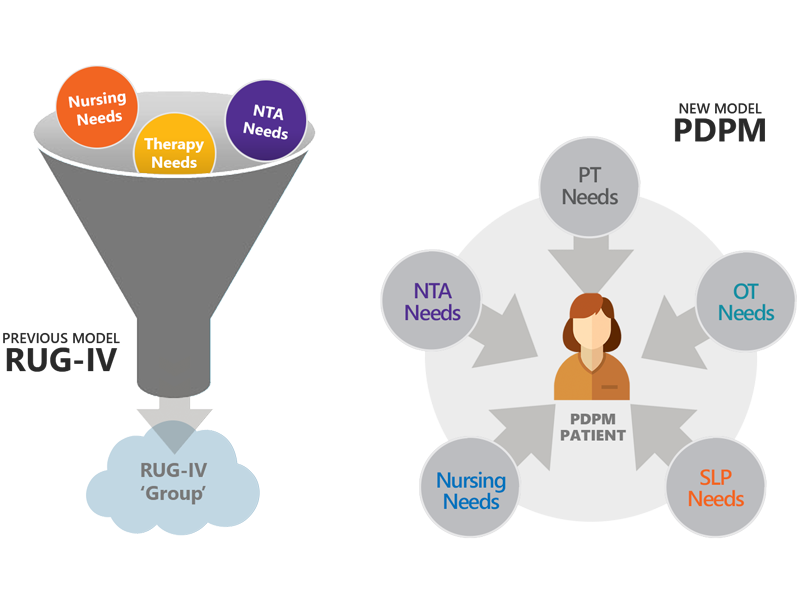 The Patient Driven Payment Model (PDPM) is the new Medicare payment rule for Skilled Nursing Facilities (SNFs) regarding their short-stay patients (staying 100 days or less). PDPM is intended to replace the Resource Utilization Group, Version IV (RUG-IV) system. Why is CMS switching to PDPM? Medicare reimbursements are currently associated to the amount of therapy minutes a patient receives. Under RUG-IV, SNFs get paid less for patients that do not receive therapy. This incentivizes facilities to often over-deliver services regardless of patient's needs, goals or the clinical benefits. 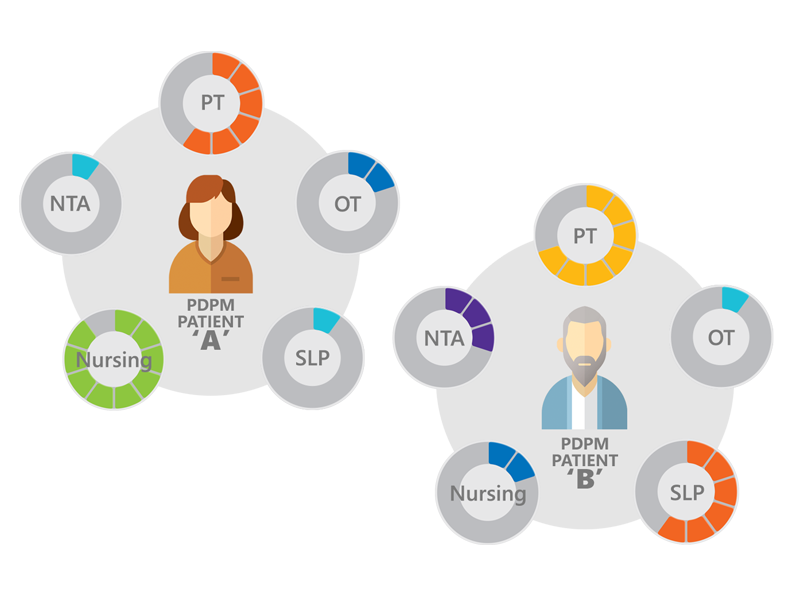 PDPM mandates that providers focus on the patient's unique needs, rather than the volume of services provided. PDPM is designed to be budget-neutral, so the focus will be on reducing costs via elimination of 'unnecessary' services and streamlining care.